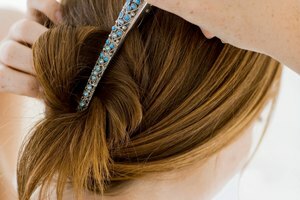 At times, we need a swept-back look – be it for better concentration, comfort or safety reasons – but like writing pens, bobby pins and hairpins are difficult to keep track of. Whether you're tired of losing the tiny pins or need an alternative in a pinch, bobby pins are far from the only option for pulling hair back or taming flyaways. No matter the hair type, these hair styling products and tools will have your hair – short or long, thin or thick – under control. Depending on the style and texture of your hair, styling products may be enough to keep the look in place. Firm hold hairsprays, styling gels or mousse can be the key. To double down on holding hair in place, apply a heat protectant mousse before switching the hairdryer to high. After styling, secure with firm hold hairspray. Another option is to use a texturizing spray, which will give the strands better hold. While several of these options may be reminiscent of looks from the 90s, each can be used for a modern or professional look. Similar to bobby pins, snap clips offer more hold, but can still be hidden under hair for a more polished look. 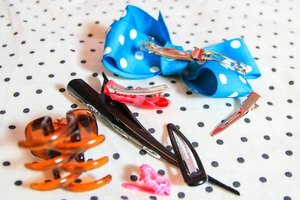 Barrettes are a far cry from the bright, solid colors or tortoise shell options of years past. Today, there are elegant shapes, a wide range of sizes and designs ranging from bridal couture to bohemian chic. Clamps come in a variety of colors and sizes, making them an ideal option for sweeping long hair into a twist and off the neck, or simply for pulling sections to the crown of the head and away from the face. 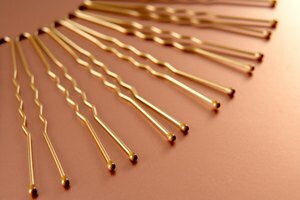 Finally, spiral pins are similar to bobby pins, but hold thicker hair much more steadily. Best for buns and updos, spin pins are inexpensive and work wonders on all types and textures of hair. An added benefit of clips is that there's no need to wash chemicals out of a hairstyle at the end of the day. Headscarves, bandanas and ribbons all prove to be quick additions for pulling back your hair. 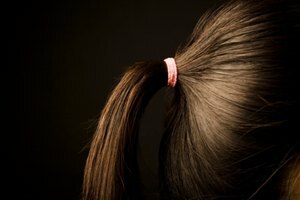 Whether the fabric is holding hair away from the face or is an addition to an elastic hair tie, the quick fix will also add flare. Leave a few tendrils down to frame the face for a softer look. Another simple solution is a headband. From the thin, elastic headbands and beaded renditions to classic frame headbands, these will keep your eyes free from falling strands. Headbands can also be used for pretty updos by sectioning hair and wrapping each loosely around the elastic band. 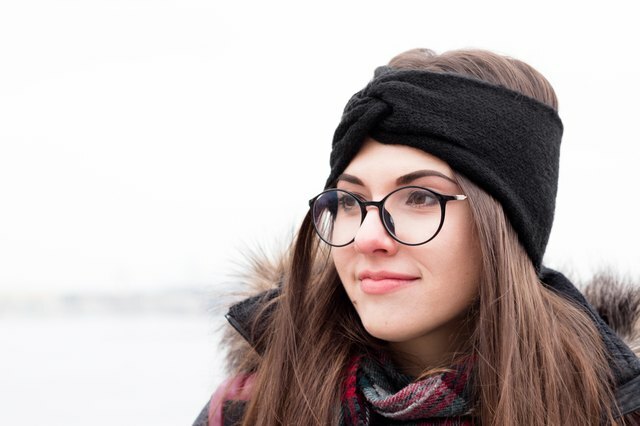 Headbands and scarves are an optimal last-minute choice that don't require heat, which will protect and promote healthy hair.